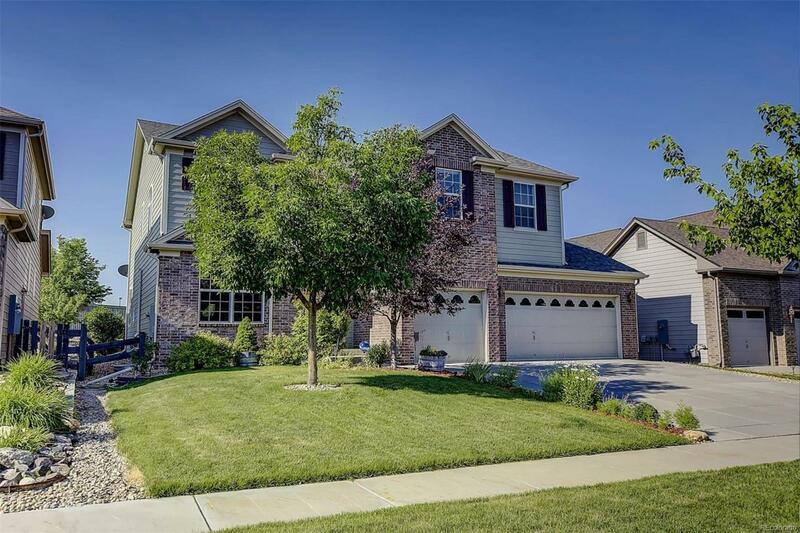 Great value on this beautiful 2 story home with 3 beds up and large loft. The master has a 5 piece bath and generous walk-in closet. There is a main floor bedroom/ study with 2 closets (currently used as a bedroom) The beautiful kitchen has slab granite, maple cabinets, stainless steel appliances and an eating area off the kitchen. There is also a formal dining room and large family room with a gas log fireplace with vaulted ceilings. The basement is finished. It has a rec room that has an outlet in the ceiling for a TV projector and has a sound system in place. It also with wet bar and beverage cooler, a large bedroom, 3/4 bath, a craft room plus a storage area. The back yard has a gorgeous deck, patio, hot tub and a shed. There are perennials planted through out the yard so there is always something in bloom! The middle school is just around the corner. Great location for kids to walk to school.